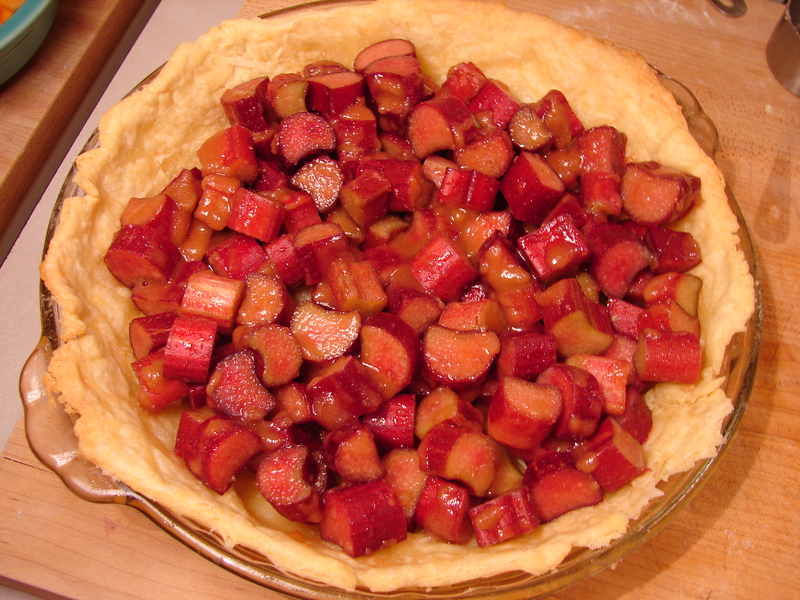 Combine rhubarb, brown sugar, lemon juice and cornstarch. I had to mix mine in a pot since I ran out of clean bowls. 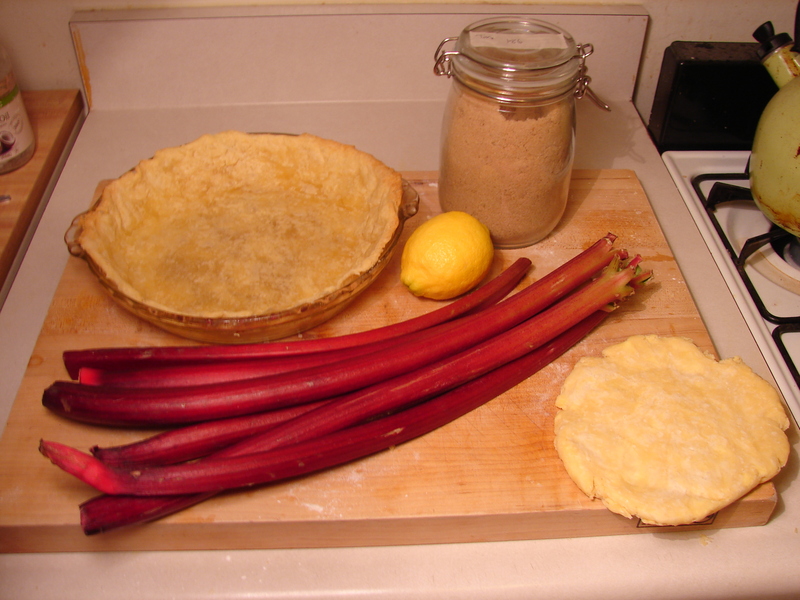 Add rhubarb mixture to pre-baked pastry shell. Roll out the other half of pastry and put it on top. Cut some vents in the top. I don’t know why I cut the vents the way I did, but they look weird. I usually don’t do them like that. 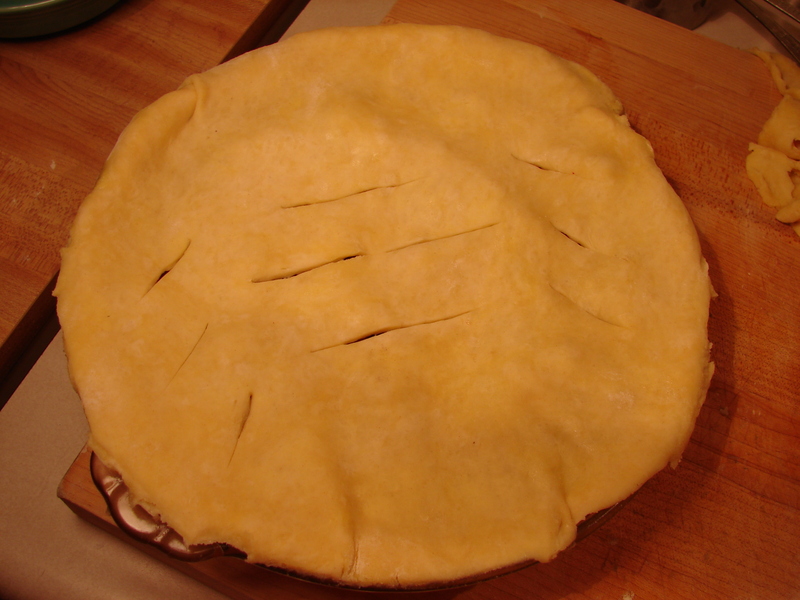 Check out my tourtière post to see how to make pie vents that look good. Bake at 350 degrees for 30-40 minutes, or until crust is golden. Those vents are so weird looking. Oh well. It tasted awesome, so it’s okay. Enjoy! What type of bag do you use to buy your sugar in bulk? Or are you lucky enough to have a place that will let you use a jar? I buy most of my bulk ingredients at Whole Foods. You can bring your own containers to fill things up with. Just go to customer service first and have them weigh the jars so they can give you the tares on them. That way you don’t get charged for the extra weight of the container. I’ve also filled up cloth bags with sugar, but this is a bit messy. This sounds delicious. If you’re looking for other ways to use up your rhubarb, I recently posted a recipe for Chilled Strawberry Rhubarb Dessert Soup that can be turned into Sorbet if you have an ice cream maker. 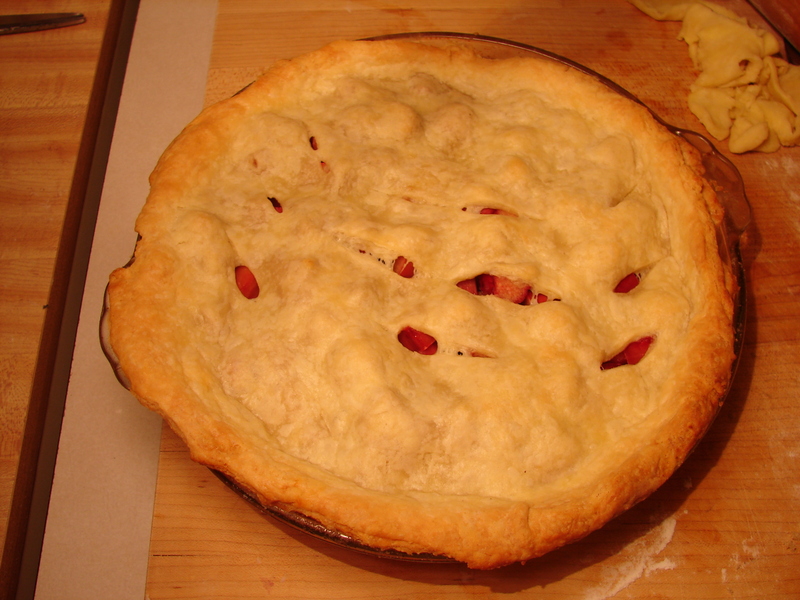 I love the flavor of the rhubarb with the strawberries. Thanks for sharing your recipe. That looks really good! 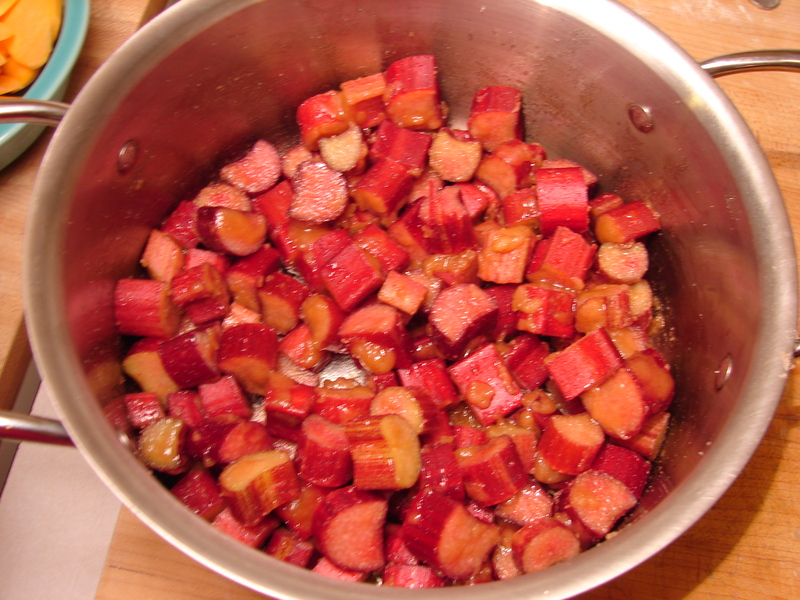 I love sorbet and I love rhubarb so I think I’ll try it out.